Charities — P. Shore & Assoc. Inc. In 1995, Ms. Shore Co-Founded and continues to Co-Chair Best Buddies Canada, one of the Best Buddies International family of countries. She, with her Co-Founder and Co-Chair, Daniel J. Greenglass, recruited the Board of Directors, developed a Business Plan for the organization, fundraised, hired staff, and created a newsletter. The mission of the charity is to establish a global volunteer movement that creates opportunities for one-to-one friendships and leadership development for people with intellectual and developmental disabilities.This organization implements a national program and advocates for friendship, inclusion and opportunities for the intellectually and developmentally disadvantaged. Best Buddies now has approximately 450 chapters across Canada, on university, college and school campuses and has raised over $24,000,000 for its programs since its inception. It has developed corporate partnerships and sponsorships, which have included Chapters Indigo, Cineplex Entertainment, BMO, Bell, Audi, RBC, MLSE Foundation, TIFF and more. To view the charity's history, click here. In 2016, Ms. 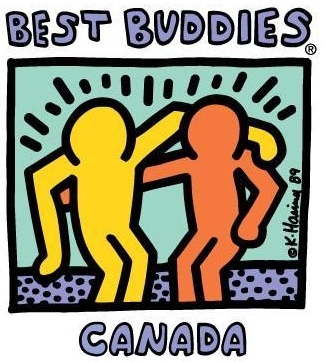 Shore developed the charity’s first social entrepreneurial venture, “Best Buddies Bubbles”, a bottled, sparkling apple juice product, for North American sales. This product is under development for mass-market distribution, with the goal of incremental revenue for the charity. This organization was founded in 2008 in New York. In 2009, Penny Shore joined the Founders, as Board President of Ariel's Legacy Canada. The charity was created to fund research, develop a national awareness program, fund professional development and fellowships, and create innovative programs for children and adolescents with Bipolar Disorder. Ariel’s Legacy has developed a national, multi-platform Awareness Campaign for high schools in Toronto and New York. Penny Shore assisted with the creation of a business strategy for this organization, launched the first fundraising event at TIFF Bell Lightbox, has published the founding brochures, manuals and products for its C.U.E. Campaign and has fundraised for it in Canada. Ariel's Legacy launched the C.U.E. Campaign (Care, Understanding and Empathy) in both New York and Toronto, in 2015/2016 in high schools, and the response was extremely positive. The goal of the C.U.E. Campaign is to enhance awareness and compassion, fight stigma in schools, and increase volunteerism, leadership, and schools’ collective spirit. The goal for 2018 is to expand the C.U.E. Campaign and continue fundraising to support essential research and urgently needed fellowships in the field. VOLT Hockey Canada, founded in 2015, has launched a movement for inclusion in sport across Canada. Part of an international movement, VOLT Hockey is played in a specially designed wheelchair that allows youths with physical disabilities to engage in Canada’s national sport. Ms. Shore was invited by the Danish Consul General, in 2015, to fundraise $100,000, to underwrite the purchase of the first 10 electric hockey chairs from Denmark. These chairs were donated to Variety Village, Toronto, to launch the VOLT Hockey League in Canada. In 2017, a new Chairperson, Mr. Jack Creed, was appointed to expand the VOLT Hockey network. Ms. Shore founded this Research Centre, assembled a Board of Directors and an Advisory Board, and developed an association with Seneca College. This organization was designed to fundraise for research grants and an annual symposium event. In 2010, she convened and Chaired the The Roundtable Meetings on the Older Worker in Canada. To communicate results of research. Since joining the Board of Directors in 1990 and Founding the Have a Heart Program in 1993 (launched in 1995 in Canadian high schools), Penny Shore was the Chairperson of CANFAR’s Have a Heart National Network until 2013. In this capacity she raised funds, staffed, created a newsletter and helped the program to grow to over 3,000 high school chapters across Canada. 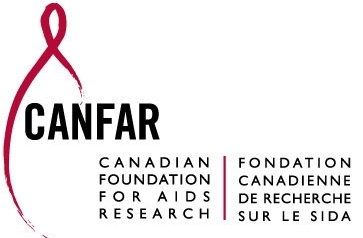 Over fifteen million Canadian students will have participated in this HIV/AIDS Awareness Program since its inception, and has contributed $2,500,000 towards HIV/AIDS research. Advisory Board, Henry Birks & Sons Inc.